Every item passed on is useful, clean and safe. 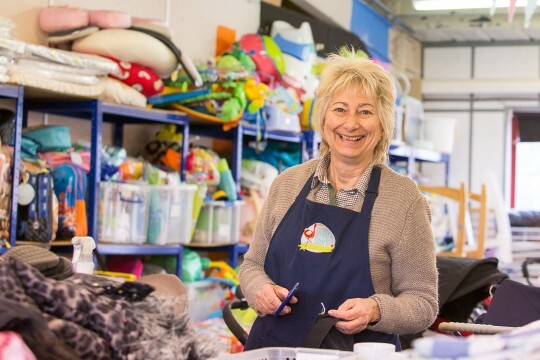 Stripey Stork collect new & pre-loved baby items and distribute to families in need in East Surrey. 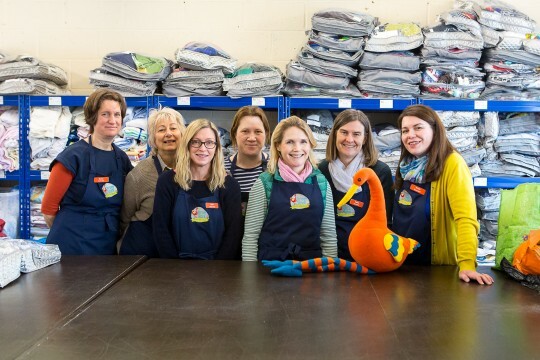 Stripey Stork collect donations of new and pre-loved items for babies and children and then recycle clothes, bedding, cots, prams, highchairs and other baby essentials by cleaning and repairing them and making sure they meet safety standards. We receive requests from health visitors, children's centres, social workers and other agencies on behalf of families in need in the East Surrey area. We try and match our stock with what each family needs. Stripey Stork would love to hear from you if you have time to spare. 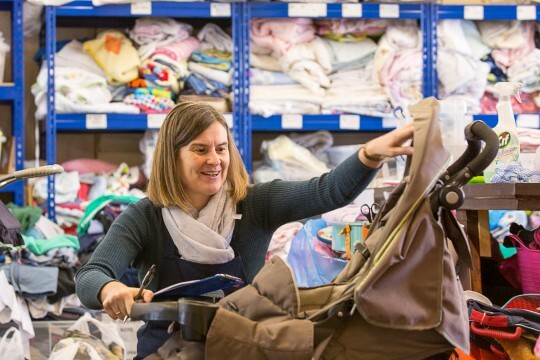 There are lots of ways to help us from collecting, sorting or checking donations through to developing policies and procedures to support the organisation as it grows. a new mattress for a donated moses basket plus blanket. a new mattress and protector for a donated cotbed.